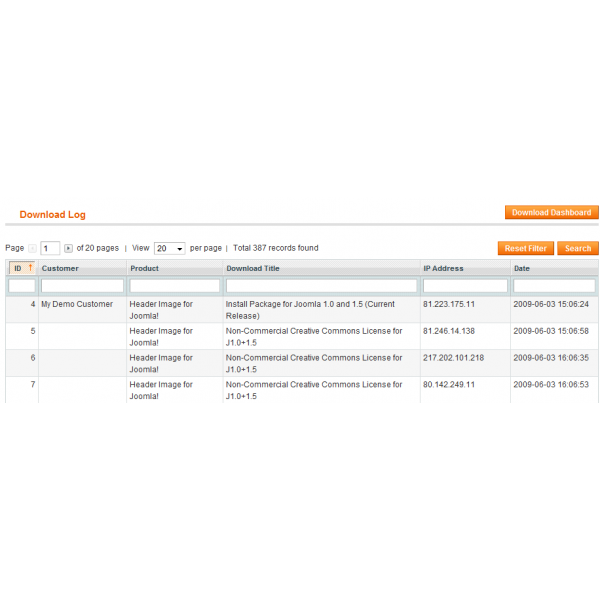 Add additional Downloads to a Customer and his Orders, for example to use for customized Software or License Files. Add Serial Numbers to Products or a Customer and his Orders. Allows to import one-line type serial numbers to products and have these automatically assigned to product purchases. 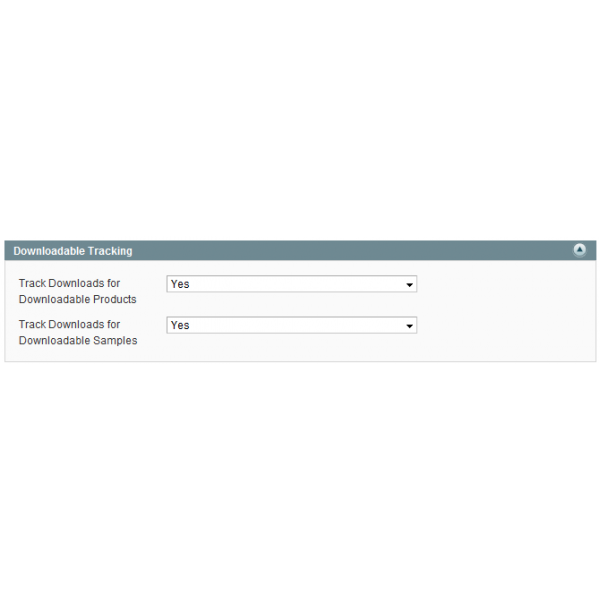 Add automatic expiration to purchased downloadable files. Add additional public Downloads to any Product, for example to use for electronic manuals or free software related to the product. Works with any Product Type. Add the Version History to your Product Page and the 'My Downloadable Products' in the Customer Account. Add descriptive Details to every file, and show this as Release Notes in your Product Page and when the file is requested for Download by your customers. Extend DownloadPlus with your custom download authorization by use of the DownloadPlus Event API, for example when selling multimedia files from a media content provider. DownloadPlus is delivered with English and German language files. To create Sales Rules for discounts related to Downloadable Products, add the DownloadPlus Sales Rule Add-On. For delivery of eBooks and PDF through EditionGuard, add the DownloadPlus EditionGuard Add-On. To unlock Downloadable Products using a License Key or Serialnumber, add the DownloadPlus Unlock by Code Add-On. To use the Apache XSendFile module to deliver large downloads more efficiently, add the DownloadPlus Apache XSendFile Add-On. For a full documentation and also overview on DownloadPlus for Magento, please visit our Online Documentation of this Extension. 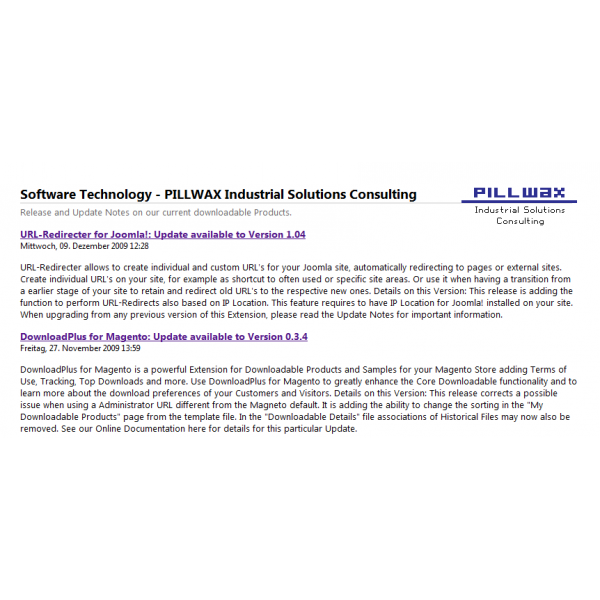 This Commercial Unlimited License includes support from our Software Group via Email for installation questions or questions arrising during use. This is a regular maintenance update with corrections from customer feedback. This maintenance update is addressing a result where the sort order for the Downloadable Products List and Serialnumber List may not get used when defined in the "downloadplus.xml" layout file. Maintenance update with a fix for when having disabled automatic assigning of pending Serialnumbers, but Serialnumbers get assigned to orders later automatically if the related order is updated or saved. This maintenance update introduces a new configuration option for the Downloadable Serialnumbers allowing to enable/disable the automatic assigning of pending Serialnumbers from the stores CRON Job. This is regular maintenance update with code maintenance implementing feedback from installations. This regular maintenance update is addressing a possible issue where a Downloadable Product is not set to expired when having external order processing via the Magento API. And correcting a possible issue where an order having multiple Serialnumbers may not create all Serialnumbers that are part of the order. This is a regular maintenance update addressing a possible issue where a internal filter is building up and preventing Serialnumbers to the assigned to an Order that has more than 1 Downloadable Product with Serialnumbers. This is a maintenance release correcting a Serialnumber counting mistake when using Product Pools for Serialnumbers. This is a regular maintenance update addressing an issue where Serialnumber Pools created for Products are not counted when checking the number of available Serialnumbers for Administrator Notifications. This is a regular maintenance update correcting an incorrect URL on the Customer Account Available Downloads list linking to the related Order. This maintenance release is correcting a possible page error occurring in the Customer Account "My Downloadable Products" section. 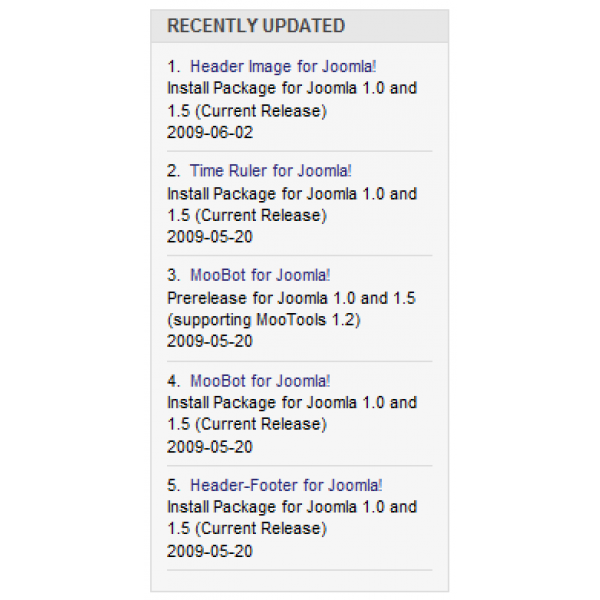 This regular maintenance update implements to HTML5 Uploader introduced with the Magento SUPEE-8788 Security Update. This maintenance release is adjusting pagination for the purchased Downloads and Serialnumbers in the Customer Account area for changes in the Magento code. This maintenance release corrects a missing code line in the Serialnumber Observer responsible for creating the Order Item Serialnumber during the order process. This is a regular maintenance release. Several improvements on expiring Serialnumbers with expiry of their related Purchased Link are also applied in this update. This maintenance update corrects some Administrator Backend URL's generated for linking to Customer Accounts and other backend pages. This is a regular maintenance release, addressing minor improvements and corrections in the Admin Area. This maintenance update corrects a possible error message from the Customer Account template file if there is a optional Downloadplus Add-On not installed. This regular maintenance update is correcting some possible effects appearing with the Downloadable Details when updating files on Downloadable Links. This maintenance update applies some changes to the "My Serialnumbers" template block to reduce database load and improve the sorting mechanisms. Setting the sorting of the purchased Serialnumber Items is now move to the Layout File "downloadplus.xml". Please see that file for related comments. This maintenance update applies some changes to the "My Downloadable Products" template block to reduce database load and improve the sorting mechanisms. 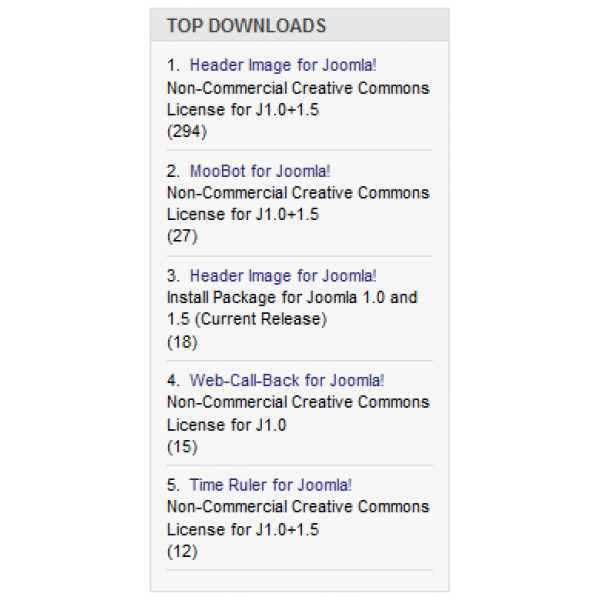 Setting the sorting of the purchased Downloadable Items is now move to the Layout File "downloadplus.xml". Please see that file for related comments. This is a regular maintenance update which changes the Transactional Email for Serialnumbers to be sent to the Email Address stored with the Order, with fallback to the Customers Account Email Address. Also sending the Administrator Notification for required Serialnumbers has received a change to prevent multiple sending of the same Email in case the Order is saved multiple times during the Checkout Process by 3rd Party Extensions. This is a regular maintenance release with additional adjustments for the Magento Security Patch SUPEE-6788. This is a regular maintenance update. This is a regular maintenance release including required modifications for the SUPEE-6788 Patch or when using on Magento 1.9.2.2. This update is required when using the Downloadplus Options Add-On. This is a regular maintenance update especially for use with the DownloadPlus Repository Add-On. It is adding corrections for handling the customer downloads. 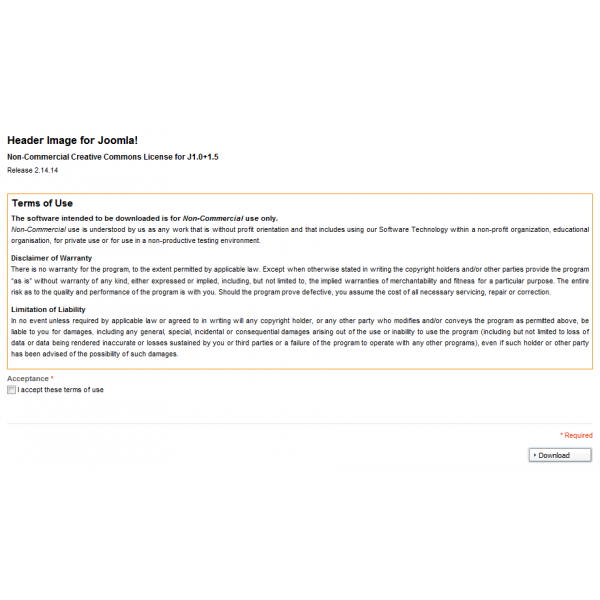 This is a regular maintenance release, also required for the new Repository Add-On available. This is a regular maintenance release. On orders where serialnumbers where are missing these missing serialnumbers are shown in the Customer Account to add manually directly into the related text field. This is a regular maintenance update addressing an issue where Serialnumbers to purchased Downloadable Links are assigned despite having no Serialnumber Pool configured for the Link. This is a regular maintenance release addressing an issue where downloads from archived file releases throw an store error. This is a maintenance release addressing an issue where a Global Serialnumber Pool is not recognized on the Downloadable Product. This is a regular maintenance release addressing some possible Error Messages being logged. This is a regular Maintenance Update also adding Image Thumbnails to Downloadable Links and Downloadable Samples for use in the Product Page, My Downloadable Products Section or in combination with Downloadplus for AWS as Poster Image for Media Files. This update also resolves one possible issue where a new Database Table required is not created upon update. This maintenance update includes regular function improvements and a new function to replace existing Purchased Downloadable Links with a new Downloadable Link different from the original purchased one. This is a regular maintenance update of the extension with various corrections when being used with the DownloadPlus for Amazon Web Services Add-On. This is a maintenance update adding privilege settings in the Group Roles for editing Serialnumber, Download Details and Additional Downloads. This maintenance release is adding a CRON-Job that automatically assigns Serialnumbers to Order Items where at purchase the related Product had no Serialnumbers available to assign. This CRON-Job is executed each 6h and will assign missing Serialnumbers if the related Product was later refilled with new Serialnumbers. This is a regular maintenance release correcting a possible store exception on processing a download request on Additional Product Downloads or Customer related Downloads. This is a regular maintenance release, addressing an issue where purchased Downloadable Links where not delivered with the most recent Downloadable Link as configured. This maintenance update addresses possible error messages occurring on the Customer Account pages in case some DownloadPlus Add-On's are not available. This is a regular Maintenance Release that corrects a possible error message being logged when using the Resumeable Download functionality of DownloadPlus. This is a regular maintenance release correcting a possible Database Exception when using Custom Attributes for Downloadable Products happening during Checkout when these Attributes are saved to the customers purchase. 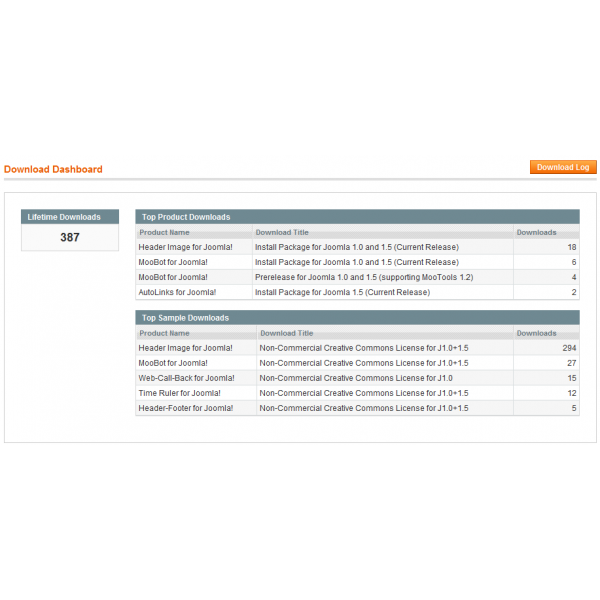 This is a regular maintenance release including improved Magento Release detection of Community and Enterprise Edition which is used for compatibility checks of the extension. This is a regular maintenance release and required for use of the new Add-On for Email Delivery of purchased Downloads. Additionally now Custom Attributes for Downloadable Links are now always automatically displayed on the Frontend (also Checkout) and Backend (Order) where possible. This is a regular maintenance release correcting a possible error message occurring during installation of the extension. This is a regular maintenance release also introducing a new feature to hide Historical Files from the Version History of the Product Catalog on the Store Frontend. 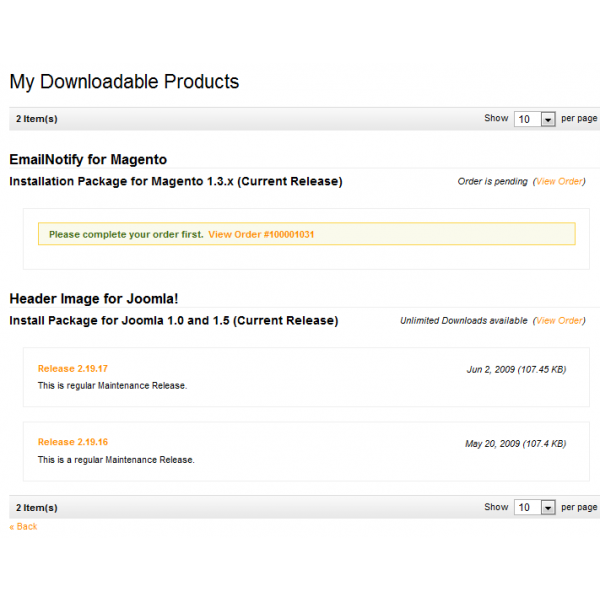 This is a regular maintenance release adding Customer Attributes to Additional Product Downloads. This upgrade also corrects a possible upgrade issue when upgrading to release 0.3.41, so this release if preferred to upgrade from any previous release of DownloadPlus. This release also introduces additiona to the Download Tracking, which require a database table update on the Download Log. Please backup your Stores Database before applying this update. This maintenance release corrects an update or installation issue that may occur with release 0.3.38. This regular maintenance update is adding the function to disable assigning of Serialnumbers for a Product to the Product management page. With this option assigning of new serialnumbers to a Product may get disabled on purpose also when there are already Serialnumbers assigned for order of it. See also the online documentation here on this new product option. Regular maintenance update addressing usage of special characters in Download Link Titles, deleting of customer downloads, adding additional customer data to the assigned serialnumber list. This regular maintenance update addresses the assignment of serialnumbers to multiple downloads associated with a single product. And is adressing deleting an additional product download where the associated links was not removed. This is a regular maintenance release with additional template blocks showing download links to additional product downloads as documented here. This maintenance release includes a file missed to include in the 0.3.33 release causing the File History Details for the default store to be disabled for input. This is a regular maintenance release improving saving of Download Details in a multi-store environment. Additionally the extension configuration allows to set default values for Download Expiration to be used for newly created Downloads. Regular maintenance release with added function to test URLs defined in Downloadable Products. Add Serial Numbers for purchased Downloadable Products to a Customer and his Orders. And it includes preparation for a new Add-On to DownloadPlus allowing to deliver eBooks using the EditionGuard service. This regular maintenance update implements to HTML5 Uploader introduced with the Magento SUPEE-8788 Security Update and for Magento 1.9.3.